Below is a list of our Frequently Asked Questions. If you have additional questions which are not answered here or would like to discuss any of Combine Academy’s programs, please schedule an appointment to speak with one of our Coaches by clicking “Let’s Chat!” below. We are a national preparatory school with NCAA approved course work for grades 9-12. We also offer a Postgraduate program available to High School graduates of all ages. When school is not in session we use our campus to hold training camps and programs of all skill levels. Where is Combine Academy Located? We have several locations in the United States but our headquarters is in Charlotte, NC with our campus located 30 minutes from the airport in Lincolnton. Why should I train with Combine Academy? Most basketball camps and programs are only focused on skill development. Here at Combine Academy we focus on skill development as well as academic preparation, college exposure, and college placement. We have placed 85% of students into college and 95% of them earn some type of scholarship. Colleges in our network love us because the Student-Athletes that we have placed with them are more mentally and physically prepared for college athletics than other traditional High School Student-Athletes. Can I participate in Combine Academy programs even if I am not local? Yes.  We work with the best talent from around the world and with on and off campus housing available, we can accommodate most any situation. How does transportation to Combine Academy work? Student-athletes should arrive at Charlotte Douglas International Airport (CLT). Once you arrive at the airport, Combine Academy provides roundtrip transportation from the airport to campus and to all games, tournaments, camps, and events. What else is included in the cost of tuition? Housing, 3 meals/day, snacks, multiple daily skill, strength and conditioning workouts, transportation to and from events including hotel stays if necessary, film of every game and most workouts, academic advising, exposure to hundreds of colleges in our network with scholarships available. Tuition varies based on application criteria, which covers many factors. You can find base tuition costs for each program under registration and fees, program dates and fees. Combine Academy has 5 different Financial Aid options. Financial Aid is determined upon a student’s application criteria. The time at which an application is submitted is imperative to a Financial Aid award. After an application submission is completed in its entirety, a student’s Financial Aid Award decision will be determined within 10 business days. Incomplete applications will not be evaluated for Financial Aid. Combine Academy staff members have a wealth of experience playing and coaching at the collegiate level. Due to this experience, our staff has a vast network of high school, AAU, and college coaches. Yes, students may reclassify. The reclassification process requires an academic review with one of our academic advisors in order to comply with NCAA requirements. Do I tryout for the team? Not necessarily. The majority of students we reach out to and recruit have been recommended to us already. We work on a first applied first considered basis until the programs meet their capacity. If you receive a contact from us, we are interested in you wearing a Combine Academy uniform! Once you are ready to be considered you can apply online. What does Combine Academy look for in a Student-Athlete? Combine Academy seeks self-driven student-athletes who are committed to academic and athletic success, and who display high character on and off the playing field. Our ideal student-athletes are selfless and willing to put in the work that it takes to achieve their goals. Does Combine Academy offer scholarships and Financial Aid? Yes, Combine Academy has a variety of in-house partial scholarships and grants. We also have a limited amount of financial aid available. Recipients are selected based on an academic, athletic, character and financial profile that is done during the application review process. Where do Combine Academy athletes live while they’re on campus? Combine Academy Student-Athletes are provided with comfortable and spacious living that resembles that of a college atmosphere. Each housing option was built and designed with the idea of fostering community development and fellowship. Each of our residence halls feature a common area, flat screen smart TV’s in each room, and Wi-Fi access throughout. While most of our student-athletes board on campus, they have the option to live at home in the area, or in off-campus apartments. How can I get accepted to Combine Academy? The first step, is to ask yourself if you think you have what it takes, if you’re willing to make the necessary sacrifices, and if you’re willing to challenge yourself daily? If so, then the first step is to apply. Visit here to get started. Are Combine Academy’s classes online or in person? Combine Academy is a Nationally Accredited, State Registered, and NCAA approved Private Boarding School. Our high school classes are in person in a small and intimate classroom setting that allows for the highest rate of academic success. What are the sizes of the classes at Combine Academy? Combine Academy is focused on providing each student with an intimate and detailed educational experience. Combine prides itself on a 4:1 student to teacher ratio. What is the balance between student and athlete at Combine Academy? Student-athletes have some of the highest demands put on their time and schedule compared to a regular student. Our experienced staff constructs a detailed schedule that provides a balance between academics and athletics that allow our students to achieve both at the highest level. What is the tuition to attend Combine Academy? Please visit your desired programs registration page to view the tuition rates for the 2019-2020 academic year. You can also contact us via phone or email for more information. 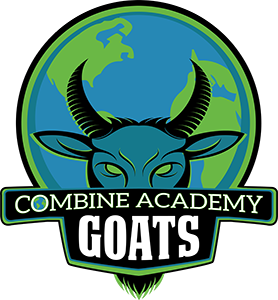 How are my academics assessed when enrolling in Combine Academy? Our experienced staff reviews and assesses your academic transcripts at two different points prior to enrollment. First, our team reviews all of your academic history and material, during the application process, to make sure you’re records aligns with the academic standards and goals of our academy. Second, prior to your arrival on campus, our staff does a full evaluation, NCAA breakdown, and path to graduation report to ensure every students’ academic success. Combine Academy offers a rolling admissions process that allows students to apply at any time of the year, provided there is an open enrollment slot. How does Combine Academy assist with college planning and placement? Combine Academy takes a very active role in helping each student set realistic goals for their future. Combine Academy staff educates each Student-Athlete and their family on college exam preparation, college recruiting, and NCAA compliance. Once on campus, each student has a bi-weekly meeting to review their academic and athletic profile, college recruitment, and enrollment. Would a Post-Grad year affect my 4 years of NCAA eligibility? No, as long as you follow Combine Academy guidelines, your NCAA eligibility will not be impacted. However, NCAA regulations vary by sport and on a case-by-case basis, so please contact us for more information on your individual situation. How many games do you play during a post grad year?